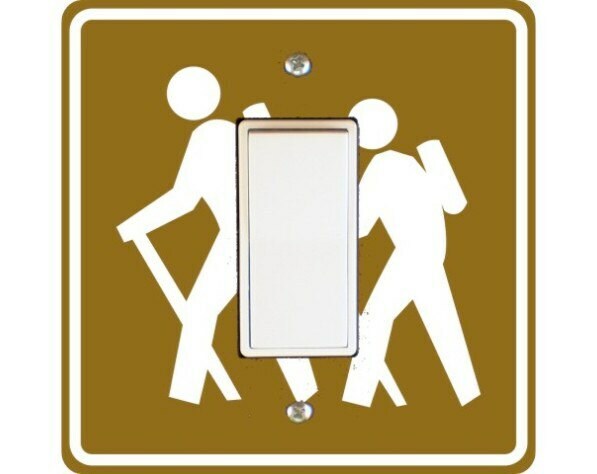 The image on this square decora rocker plate is a high resolution image of a hiking recreation road sign. 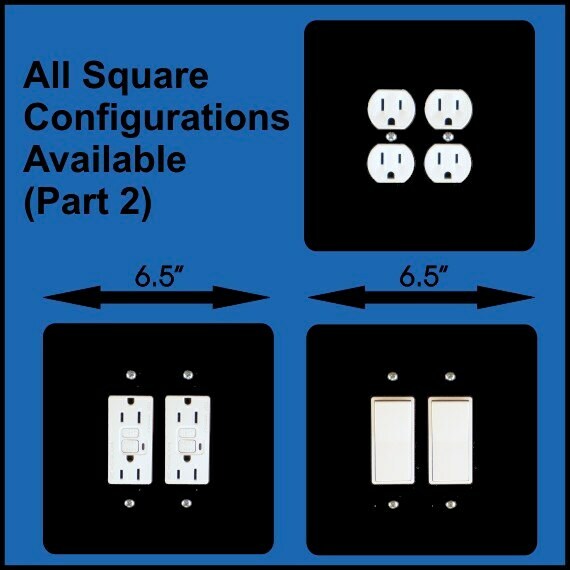 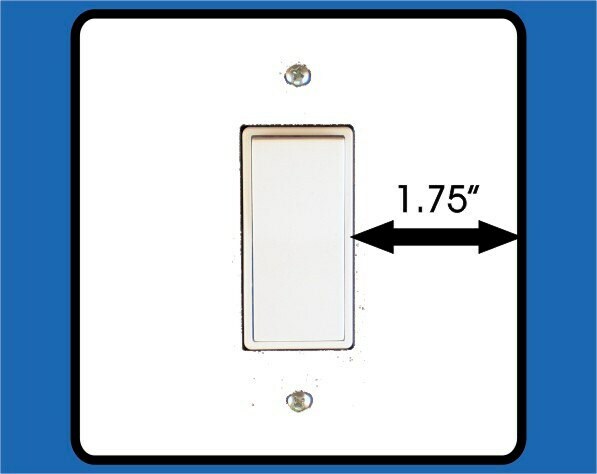 You need 1.75 inch clearance on the left side of the switch opening and a clearance of 1.75 inch on the right of the switch opening for this decora rocker switch plate to fit your wall. 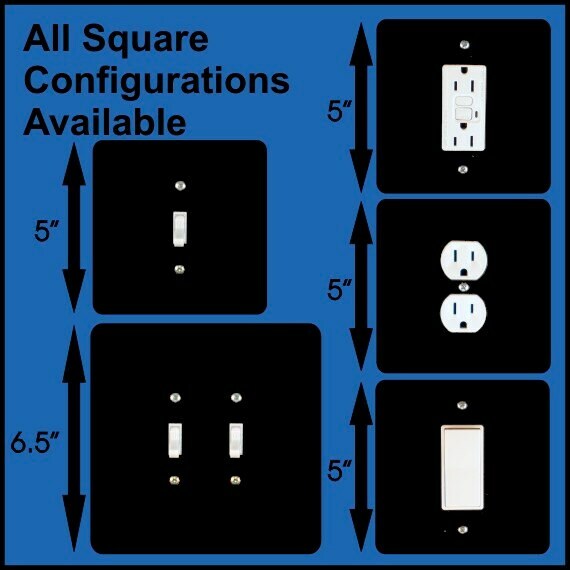 All of our item prices include shipping to US and Canada.